Before I move on, a shocking confession: I have never read Stephen King’s Dark Tower series. Oh don’t look at me like that. I’ve been busy. Well, actually, I did read The Gunslinger over a decade ago. It wasn’t what I expected, which is to say it wasn’t King’s usual horror, and I wasn’t ready for it. 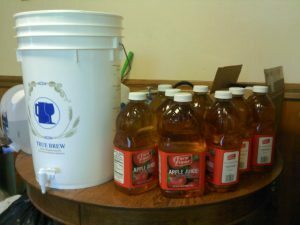 I brewed my Graf this past weekend, which means in three weeks I can bottle and in another three weeks to a month, I can drink it. 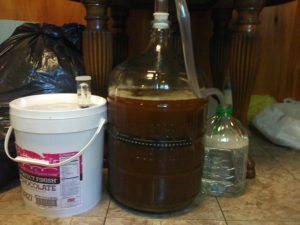 This was my first go-around with my new glass carboy as well. It’s a lot of fun to finally be able to watch as the yeast eat up all the tasty sugars, burping out CO2 and peeing alcohol. What a sight. At some point I may even try to brew some Lord of the Rings inspired ale, but until then, I have a pumpkin ale to think of. 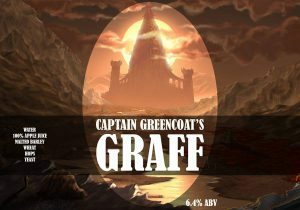 **I did not brew the “Captain Greencoat” recipe found on the above link. I brewed Brandon O’s Graff. ***I don’t have a label design for my Graff or my Moon Hill Pumpkin Ale. Should I hold some sort of label design contest?